I saw this verse play out in my own life as my mom battled and passed away from cancer. Yes, I am a Christian; therefore, ultimately, Satan has no hold on me. However, Satan can still tempt me with the ways of the world. During Mom’s journey, my family and I could have taken what Satan (the thief) had come to offer (to steal, kill, and destroy). We could have grieved as if we had no hope. Thank God, we had another option, though. We could take what Jesus had come to offer- which was life to the FULL. Yes, we had moments of sadness, fear, confusion, etc. We still have those moments. By following Jesus, we were able to still be blessed with abundant life even in the midst of a tragedy. Jesus gave us joy and hope. Jesus gave us laughter. Jesus blessed us with a really awesome week at the beach together, tons of funny moments together, a wedding, graduations, and so much more. We have to make a choice in life, on the good days and the bad days. We can choose to take what Jesus offers- abundant life, or we can choose what Satan offers. If you choose what Satan offers (he only wants to kill, steal, and destroy), you will be miserable. Satan does not want to give you joy or laughter, but for you to wallow in self-pity and focus on the negative. In a sense, Satan wants you to look at the glass half empty. On your good days and on your bad days, look at the glass half full. Trust Jesus to bless you with a life more full and abundant than you can ever ask or imagine! Yes, I know this post is kinda similar to yesterday’s, but God really gave me a first hand experience of what John 10:10 meant during this trial in my life. I also wanted to take the time to reflect on those moments of joy, and give God the glory for them. My family and I always say we have no clue how people survive trials without Christ in their life. He gave us joy, hope, peace, and so much more. This is just one of the moments I can look back on and clearly see John 10:10 playing out in my life. 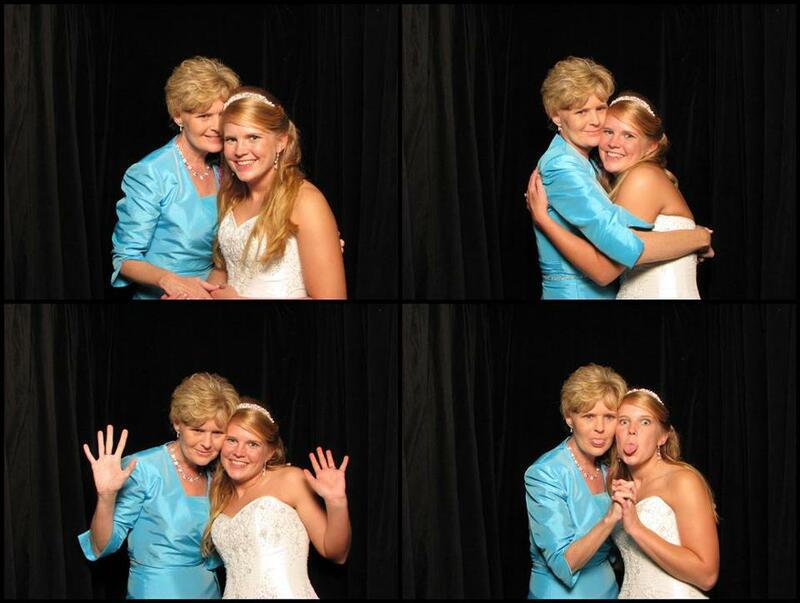 I had a ShutterBooth at my wedding (Mom’s idea!) & those are some of my best memories with her. What a blessing! Next postTop 10 Joyful Moments.